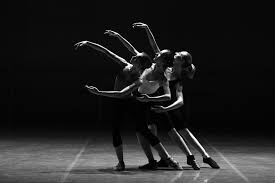 This acknowledges the strong contribution that dance – in all its diverse forms – makes to the nation and how dance is regarded as so much more than simply an artform. Recognising these talented dance professionals in this year’s honours demonstrates how highly dance is valued. The focus on the dance sector demonstrates the breath and diverse nature of dance, how the UK is leading the artform across many genres and recognises the impact and importance of pioneering and innovative work that these dance leaders have achieved. Notable among these honours is the award of Knighthood to Richard Alston CBE. Richard Alston has been working in dance for over 50 years and is recognised as one of the most inspiring and influential choreographers in the dance community. He started out in 1968 as a student at the London School of Contemporary Dance and then went on to form the UK’s first independent dance company, Strider. After training at the Merce Cunningham Dance Studio in New York he returned to the UK and was appointed Resident Choreographer of Ballet Rambert, becoming Artistic Director. Next Alston went on to establish the Richard Alston Dance Company, based at The Place. Anthony Van Laast is awarded the Commander of the Order of the British Empire. Van Laast is an internationally-renowned director and choreographer whose work embraces stage, concerts, television and film. Including numerous musicals such as Mamma Mia!, Joseph and the Amazing Technicolour Dreamcoat and films including Harry Potter and Beauty and the Beast. Farooq Chaudhry is awarded the Officer of the Order of the British Empire. Chaudhry is co-founder and Producer of Akram Khan Company, former creative producer for English National Ballet and former Chair of Dance UK. He is recognised as a cultural entrepreneur and innovator, playing a key role in forming innovative business models to support artistic ambitions. Sujata Banerjee is awarded the Member of the British Empire. Banerjee is an accomplished and versatile South Asian artist and a leading Kathak exponent across the world. As Artistic Director of Sujata Banerjee Dance Company, she creates work and conducts workshops and classes and firmly believes that the arts should be accessible to everyone.